Harvard University’s fight against an admissions discrimination lawsuit by Asian-American plaintiffs has sucked up most of the media attention for the past several months. But the same plaintiff group, Students for Fair Admissions, is also suing the University of North Carolina on the same grounds, and UNC’s defense of its race-conscious admissions protocol may raise a few eyebrows. Both sides filed briefs in federal court Friday, Inside Higher Ed reports, “outlining for the first time in detail their takes on the issues at Chapel Hill.” UNC’s take: We need to look at race in admissions to uphold our academic standards. At issue is whether race-neutral alternatives would produce sufficient diversity in each admitted class. UNC claims it did the math on some of these ideas, such as the “Top 10” program used in Texas, which guarantees admission to state-funded colleges for the top 10 percent of each high school’s graduating class. The average SAT of admitted applicants would have dropped from 1317 to 1262 and the projected grade point average of first-year students (based on the high school records and test scores) would have dropped from 3.26 to 3.16. Further, UNC’s analysis said that so many slots would have been taken up with top 10 percent students that “hundreds” of worthy applicants from underrepresented groups who either not in the top 10 percent or who attended private or magnet schools wouldn’t have been admitted. Another idea – automatic admission of “the top 7.5 percent of high-poverty schools and the top 3 percent at low-poverty high schools” – would lower average SAT scores by 100 points even as it increases black and Latino admissions. UNC also forecasts higher dropouts of admitted students if it switches to this model. The plaintiffs’ brief highlights UNC’s starkly different choices based on the race of potential applicants, based on documents SFFA obtained in discovery. Contrary to its claims about academic merit plummeting under a race-neutral system, UNC requires white and Asian students to have much higher ACT scores in order to receive recruiting materials. 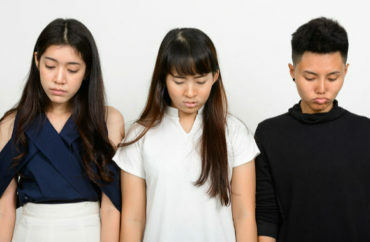 According to an analysis by the plaintiffs’ experts, Asian-American males would have much better chances of getting accepted, based on grades and test scores, if they were Hispanic or African American. For in-state Asian-American applicants, it jumps from 25 percent to 67 percent (Hispanic) and 90 percent (black). An out-of-state black applicant with the same grades and test scores would have a 99 percent chance. Inside Higher Ed does not name the plaintiffs’ experts, and Students for Fair Admissions has not responded to a College Fix request for briefs Monday. But a group of “leading economists and econometric scholars,” including Brown University’s Glenn Loury, gave thumbs-up to SFFA’s statistical analysis in the Harvard case.